How to introduce art to agriculture students. SO-IL, Bohlin Cywinski Jackson (BCJ) and Whiting-Turner recently completed a design/build project at U.C. Davis - a museum that completes a quad on campus. 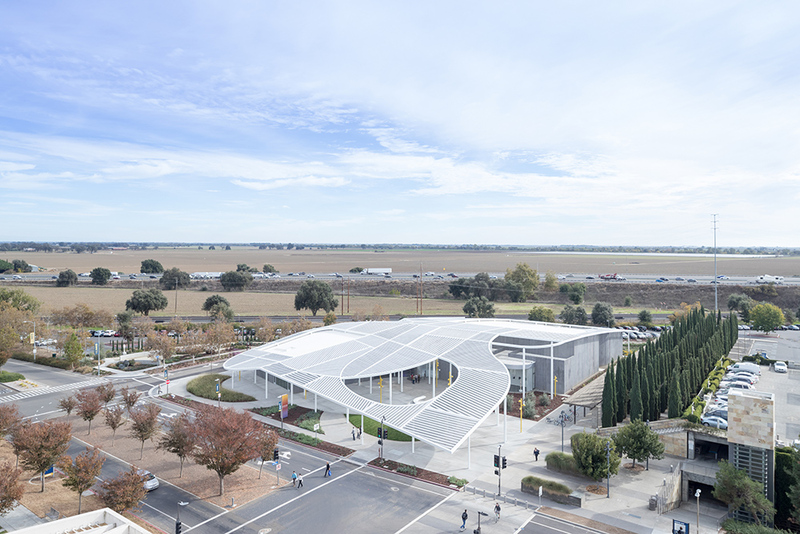 Like Caesar's Gaul, the Manetti Shrem Museum of Art is divided into three parts: pavilions for classroom, administration and exhibition. And they're all integrated together on one level. "Education is very prominent within the building - the classrooms are at the forefront," says Florian Idenberg, founding partner at SO-IL. "I see it as galaxy of spaces - a museum for the students practicing and experimenting in the arts. That was the aspiration." 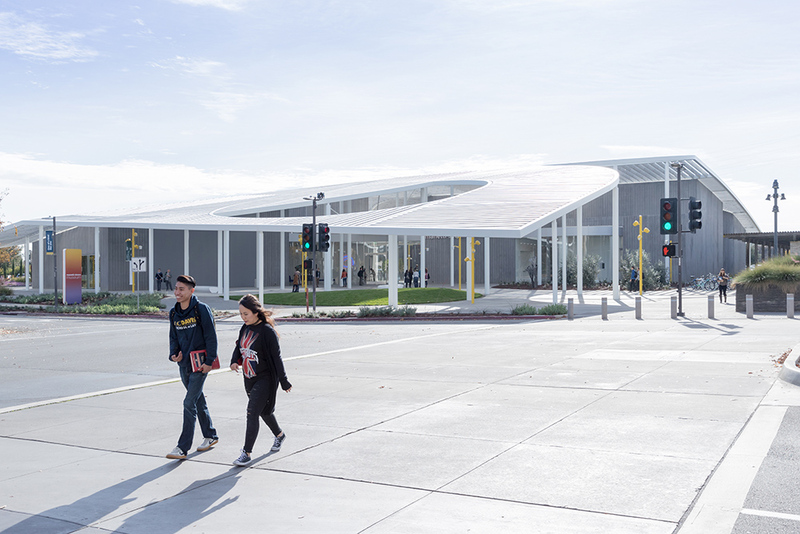 Students on campus are welcomed and invited into the museum via a gigantic canopy made of steel and perforated aluminum infill beams, designed to create different patterns of shadows underneath. "It comes down to 12 feet, draws you into this plaza and then underneath the canopy and to the front door," says Karl Backus, principal in BCJ. "So it invites you to enter the site, underneath the canopy and the bay." Inside, the building addresses the rapidly changing nature of education, as fixed and formal classrooms are giving way to online learning. 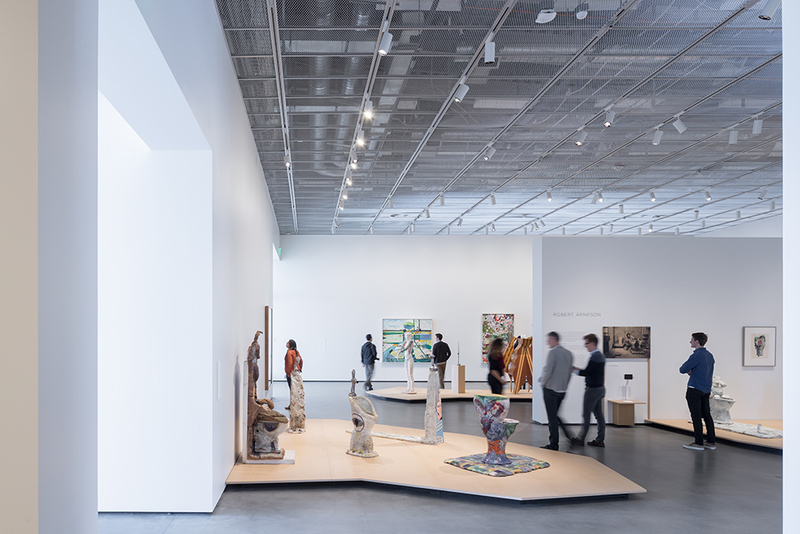 "The question was how to create spaces where students can study and hang out - so the lobby is a study area for exams, and they can check in the gallery quickly and just be," Idenberg says. "Walls are flat for movie screening, and there's an open and permeable infrastructure for different events that the students create. It's lofty, but that's the aspiration." It's also a very cool place to forget about agriculture - and ponder the art.